Both teams will be desperate for three points on Saturday but for different reasons. Rewind twelve months and you would have found Burnley fighting for a top seven finish in the Premier League, whilst Wolves were still a Championship club. Just five points separate 14th and 18th but bookmakers have the race to avoid the drop down to a two-horse race between Burnley and Cardiff...a glance at their remaining fixtures would justify that thought process. The key for Burnley will be their home form after four successive defeats in the Premier League plunged them back into trouble. Yet the Clarets have not defeated Wolves in seven top-flight meetings, losing all of those matches, including the reverse fixture back in September. They will be keen to turn that plight around during Sean Dyche's 300th game in charge. In contrast, the visitors are in great form. Just one defeat in their last eight league fixtures and a compelling display to knock Man United out of the FA Cup, Nuno Espirito Santo's side have captured the imaginations of many football fans with their brand of attractive teamplay. Yet a seventh-place finish is by no means secured. Watford, West Ham, Leicester and Everton are all breathing down their necks so any dip in for could still see the West Midlands club finish in the bottom half of the table. Expect goals, perhaps even the 1-1 scoreline that has plagued the visitors in three of their past five league games. 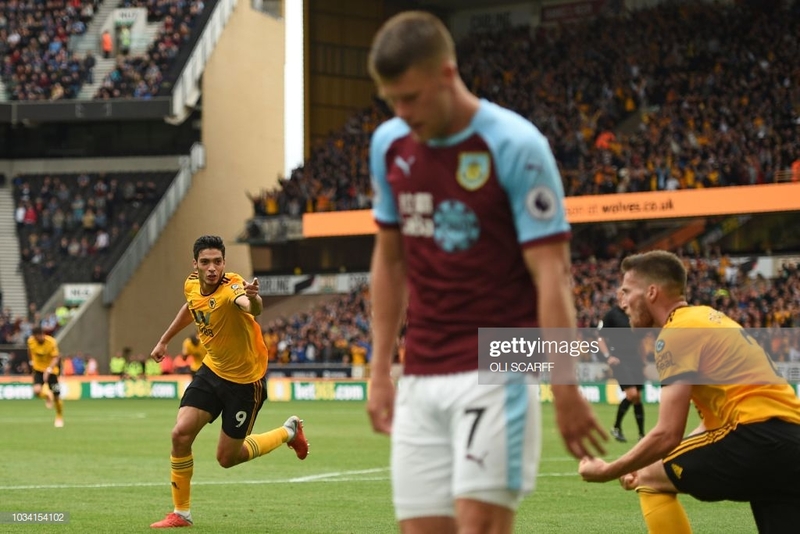 Wolves have conceded in all of their last 11 league fixtures, whilst Burnley have done the same in each of their previous six, including shipping 11 in the last three. It is not difficult to see where the weaknesses of both clubs lie. For all of Wolves' impressive, free-flowing, attacking football, they lack a bit of extra quality in defence. As for Burnley, a joint Premier League record of conceding ten goals during injury time combined with a season-high 14 shots from outside of the area finding the back of the net provide damning statistics for Sean Dyche. Wolves should have a full squad to choose from with only the suspended Ryan Bennett definitely missing out. They boast one of the form strikers in the league with Raul Jimenez netting six of their last ten goals, adding to the 18 strikes (including the winner at Molineux in the reverse fixture) he has contributed to this season. Diogo Jota has created half of the last six, providing an assist to goalscorer partnership second only to Ryan Fraser and Callum Wilson. For the hosts, teenage sensation Dwight McNeil is the one player to maintain his form, scoring two and creating four in his last 12 league matches, including a consolation strike against Leicester last time out. Fresh from his England Under-20 debut last weekend, McNeil could have further weight on his shoulders if Johann Berg Gudmundsson is unable to shrug off a knock.